The DTSS provides medical card holders with basic dental treatment and ensures that medical card holders receive pain relief, preventative treatment, denture services and emergency care. Budget 2010 limited DTSS expenditure to €63million at a time of rising demand. The HSE’s April circular could mean that 1.6 million medical card holders may be denied routine treatments such as fillings and extractions. The Department of Health’s own figures show that people over 65 are by far the biggest users of the DTSS and will therefore be the hardest hit by this latest cutback. Almost €12 million (25.5%) of total payments for treatments was for those aged 65 or over; even though only 14% of this age group used the DTSS in 2003 (the latest figures publicly available). Taking the average of €230 and €400 it appears that older people will have to provide an extra €330 per year for dental treatment to add to the additional costs of the carbon tax, the introduction of prescription charges and a decrease or abolition in waivers for waste charges as well as VAT on local authority charges to name but a few. The Minister must act now to stop the slow drip of the removal of the universal benefits of the medical card to Older People. 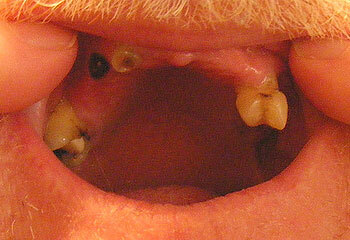 Many of today’s pensioners endured poor conditions in their youth with poor food and little or no dental care. In older age they must not be deprived again.